After Britain abolished slavery throughout most of its empire in 1834, Victorians adopted a creed of “anti-slavery” as a vital part of their national identity and sense of moral superiority to other civilizations. The British government used diplomacy, pressure, and violence to suppress the slave trade, while the Royal Navy enforced abolition worldwide and an anxious public debated the true responsibilities of an anti-slavery nation. 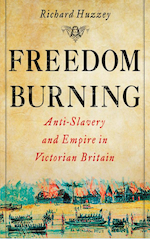 This crusade was far from altruistic or compassionate, but Richard Huzzey argues that it forged national debates and political culture long after the famous abolitionist campaigns of William Wilberforce and Thomas Clarkson had faded into memory. These anti-slavery passions shaped racist and imperialist prejudices, new forms of coerced labor, and the expansion of colonial possessions. 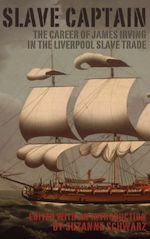 One of the very few firsthand accounts written by a Liverpool slave ship captain to have survived, this unique and fascinating primary source navigates the reader through the remarkable story of James Irving, a Liverpool slave ship captain who was shipwrecked off the coast of Morocco and subsequently enslaved. Schwarz skillfully supplements Irving’s personal journal and letters with useful notes, making this an essential volume for anyone interested in the relationship between the slave trade and the British Empire. Slave Captain is a compelling narrative that will be welcomed by the general reader and scholars alike. 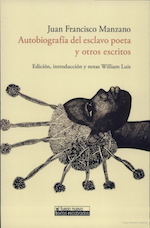 The autobiography of Juan Francisco Manzano (1797-1853) is a unique testimony on slavery, written in Spanish by a slave. Its composition in 1835 was made possible by the efforts of Domingo del Monte, who encouraged the poet to write an autobiography. Manzano had to learn to read and write before venturing to narrate the events of his life in a legible manuscript, but with many errors. To make it more accessible to readers Del Monte entrusted the manuscript to Anselmo Suárez y Romero to give it shape and make the necessary corrections. Suárez y Romero fully complied with the request, but also changed the life of the slave with the intention that the testimony would be more strongly in favor of the abolition of the slave trade and slavery. Both the original autobiography and the version edited by Suárez y Romero disappeared. The original, found a century later at the Jose Marti National Library, was published in 1937 by José Luciano Franco. The Suárez y Romero version, found in the mid-eighties in the Sterling Library of Yale University and unpublished so far, is provided to readers in this book. The Diligent began her journey in Brittany in 1731, and Harms follows her along the African coast where her goods were traded for slaves, to Martinique where her captives were sold to work on sugar plantations. 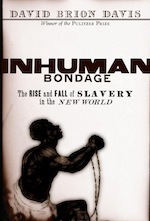 Harms brings to life a world in which slavery was a commerce carried out without qualms. He shows the gruesome details of daily life aboard a slave ship, as well as French merchants wrangling with their government for the right to traffic in slaves, African kings waging epic wars for control of European slave trading posts, and representatives of European governments negotiating the complicated politics of the Guinea coast to ensure a steady supply of labor for their countries’ colonies. 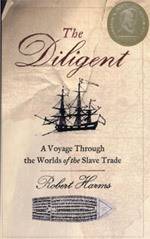 The Diligent is filled with rich stories that explain how the slave trade worked on all levels, from geopolitics to the rigging of ships. 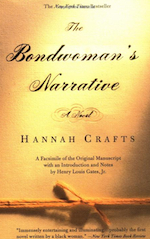 The Bondwoman’s Narrative tells the story of Hannah Crafts, a young slave working on a wealthy North Carolina plantation, who runs away in a bid for freedom up North. The historically accurate retelling of her ultimately successful flight to freedom provides a fascinating view of American life in the mid-1800s and the literary conventions of the time. Professor Gates donated the original manuscript to the Beinecke Library in 2003.